Each year, a small percentage of films are selected for programming at festivals. Emmy winner Madeleine Sackler, however, has the rare opportunity of screening two of her films at Tribeca this year: her latest documentary, It’s a Hard Truth, Ain’t It and her first narrative feature, O.G. 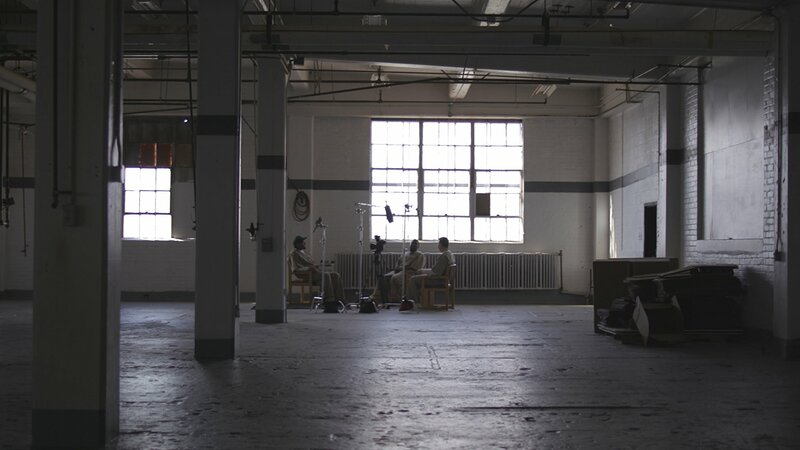 While both films were produced at the Pendleton Correctional Facility in Indiana, Sackler sees them as complimentary films which can be viewed on their own or as an enlightening double feature. 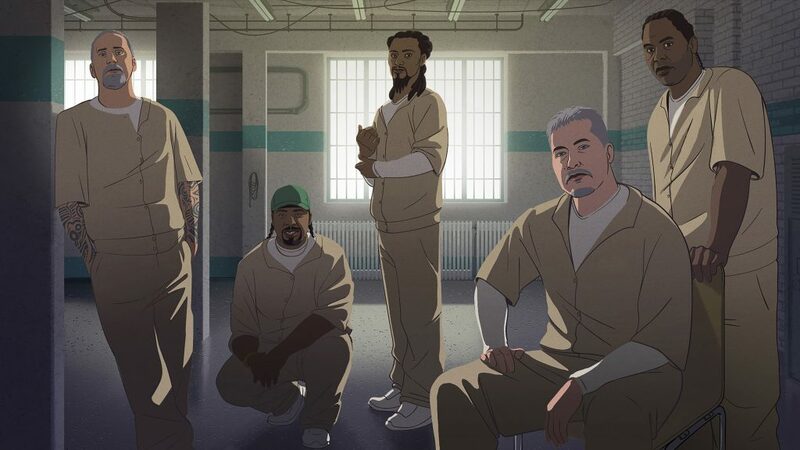 It’s a Hard Truth, Ain’t It is a film Sackler directed with inmates who participated in documentary workshop (and features animation by Yoni Goodman of Waltz with Bashier) to tell in their own words what life is like within the prison walls. O.G. 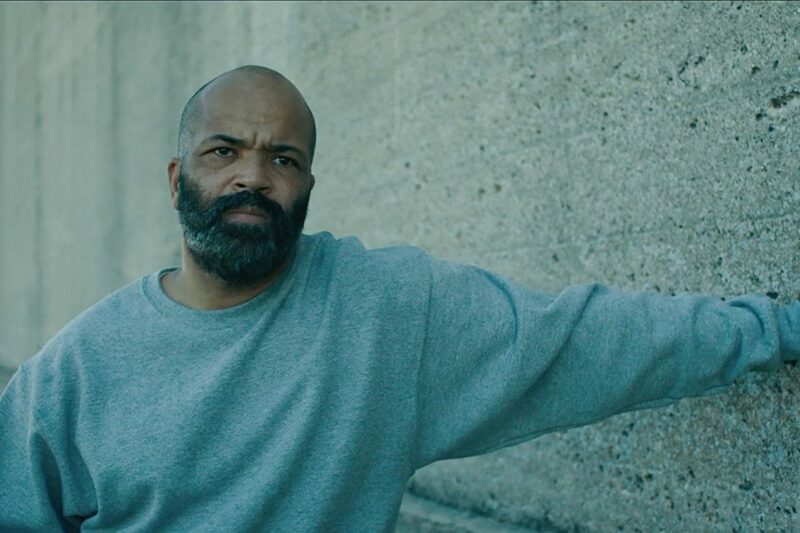 centers on two of those lives: an unlikely friendship formed between the soon-to-be-released Louis (veteran actor Jeffrey Wright) and the newly-incarcerated Beech (inmate Theodus Carter). Sackler discusses the intense experience of making two films at once, filming in a working prison and her mission to tell an authentic story of prison life. Lesley Coffin: Where did the concept for O.G. originate from? Madeleine Sackler: I learned that nearly everyone who’s in prison will get out eventually, over 95 percent of incarcerated people will be released. I had no idea of that statistic; I knew that we had more people in prison than any other country. But I didn’t realize that most prisoners will return to their community at some point. Coming from a documentary film background, I’m really inspired to work with people to help tell their stories, so I had this idea, this dream, to find a prison that would allow me to come in and work with inmates on the script. And then I wanted to film and cast from within that prison. Lesley Coffin: You have two films premiering at Tribeca, a documentary and narrative. Which project came first? Madeleine Sackler: O.G. was in development first. I was really driven to make a fiction film, although I’m always drawn to realism. But probably after my first visit I knew I’d come back to conduct a bunch of interviews. And it was incredible to see how open people were with me, how passionate they were about telling their stories. Everyone, from the old men who’ve been there for years to the young men who just arrived, the guards, the internal affairs officers, they wanted to share their experiences with the rest of the world. To get their stories outside the walls. And at that point I knew I wanted to make both a documentary and a feature film. Lesley Coffin: What drew you to focusing on the male prison population? Madeleine Sackler: Well, these issues of incarceration exist in female prisons but the vast majority of people incarcerated in prison are men. So I knew, from the moment I started to look into which prisons I could work with, I’d be asking about male prisons. On the things I talked about early on was how men are portrayed in the media. And specifically how they are portrayed in prison movies and TV. Some were wary of me coming in to make this movie because of how prison life has been portrayed previously, they felt it hadn’t been accurate. A show like Lockup is very popular, but that’s a show taking the most extreme moments that can happen but fail to show what daily life is like. A character like Jeffrey, who’s been in prison for 20 years and carved out a life, there is a constant threat of danger but danger isn’t a part of his daily life. I really had the goal to create a realistic prison movie, and I needed their cooperation and feedback to do that. But I don’t think we’re making big statements about masculinity about everyone in prison. There are over two million people in prison, you can’t represent everyone. This is about the relationship of our two main characters and the relationships they have with other inmates and guards, one who’s spent 20 years in prison and one who’s just arrived. Lesley Coffin: Were the two main characters inspired by inmates you met? Madeleine Sackler: We met such a large cross-section, we definitely weren’t lifting from just one specific person. We saw patterns which inspired how I wrote the characters. A lot of internal affairs investigators have worked at prisons for decades, so William Fichtner’s character was inspired by a lot of those people. But there was no one to one relationship. And once we had the characters cast, we did a lot of workshopping so they could really take ownership of their characters. Lesley Coffin: How early in development did Jeffrey attach himself to the project? Madeleine Sackler: I thought of Jeffrey right away. We were midway through writing the script when I got really focused on getting the script to him. He was the dream Louis for me. Everyone knows he’s a great actor, but going back to watch his work, I’m just blown away by the scope and craft he employs to make everything feel full and real. I didn’t send him the script until I had a chance to show it to the men at the prison and get their feedback. But once I saw their enthusiasm, I sent it to Jeffrey and he started coming with me to visit the prison a few months later to do his own preparation for the role. Lesley Coffin: The logistics of filming in a prison has to be challenging, especially the high security level they enforced. Madeleine Sackler: Yeah, it was a level four prison, which is maximum security, in Indiana. It took a while to figure out how we could effectively film on site. We had on administrative person on site, Mo, who was incredible. But we still had to employ a gorilla style of filmmaking. We had to be incredibly flexible. And my DP Wolfgang had a massive shot list of how we wanted to film scenes, but sometimes we had to abandon that plan because we’d get locked into a location and couldn’t move to the next one. One time we were told we’d have three hours to film a scene but were told the day of we’d only have 25 minutes. But to make this movie, we had to see those stressful restraints as opportunities as well. It was more important to film there, onsite with these men, than to get the perfect shot I thought I wanted. We had to remind our crew that they couldn’t run, which is hard for film people used to rushing around. Lesley Coffin: I imagine your documentary experience came in really handy in that case. Did the narrative and documentary work in tandem or did you feel like they were two very different experiences? Madeleine Sackler: The biggest thing I’ve learned from making documentaries that I took with me on O.G. was to appreciate the unexpected. When something would change at the last minute, I had to see those moments as opportunities. We had cast someone in a pretty large part and the day before we started filming he left because his trial was moved up. So I had to recast the role. But making documentaries I’m used to those moments coming up and have seen them turn into funny and beautiful experiences, so I think I knew the same thing could happen if I saw the opportunity. I’ve also worked as an editor and that as a huge help on O.G. because I knew from that experience the kind of coverage you need to get. I can do the mental calisthenics to know what you’re going to do during the edit and how you can fix things if you don’t get exactly what you need. Lesley Coffin: How did Boyd Holbrook get involved as one of the producers? Was he already cast? Madeleine Sackler: We’ve been friends for years and I produced his short film, Peacock Killer, so we had experience working together and had a great time on that film. So it made sense that he would be one of the producers on this film. I knew there would be a role for him as soon as started working on the film, so it was just logical that he work on this film as a producer and actor. Lesley Coffin: Were the films submitted to Tribeca separately? Madeleine Sackler: We submitted both independently because we wanted each film to be judged on their own merits. And we want them to be viewed separately, so we wanted the programmers to see them separately first, each programmer make their own decision. They are really different films, although they are filmed at the same prison. But we realized in the final stages of post-production that they would be finishing at the same time, and we were excited by the idea of audiences having a chance to see both of them together. I think they work well as a double feature. O.G. gives you a chance to meet this character Jeffrey plays, but Hard Truth is almost like going back in time as an almost non-fiction prequel. I’ll be really interested to hear from people who see both films. Lesley Coffin: Regarding working on both films simultaneously, some people need two projects going at once to give their mind a break. Others find that really stressful and want to focus on a single project. What was your experience working on these films, aiming to submit on that tight timeline? Madeleine Sackler: It was a huge demand on my time. It was so much work. But I love both films equally, but they are so different and the process of making them was so different, it was nice to go back and forth. Hard work, probably wouldn’t do it again, but I know what you mean about it being refreshing to use my creative energy on two different projects which required different things from me at different times. And it was definitely worth the extra effort. Lesley Coffin: Will the men who worked on the films have an opportunity to watch them? Madeleine Sackler: We’ve done a couple of small screenings. The men co-directing the documentary saw cuts because they needed to give me their notes. They haven’t seen the final animation, but we’re trying to arrange a screening concurrent with Tribeca. And the prison has given us permission to host a big premiere at the prison for O.G., possibly for both, and the men will have an opportunity to invite a plus one. And that will be on a big screen with a Q&A afterwards. Lesley Coffin: Did the prison see this collaboration as a kind of workshop for the men to get skills and have a creative outlet? Madeleine Sackler: For the documentary, the prison approached me about creating a documentary filmmaking workshop that I’d pitched to the administration. We carved that out initially as just a workshop, and at the end of the movie we were starting to collaborate more and more and the men were interested in making an actual film with me. When I first talked to the prison about O.G. we knew we needed access to the workshops and educational programs the men were already involved in. And working on this film was considered work, so I was approved to pay the men I cast in speaking roles. I had ideas about hiring men to work on the crew but that didn’t work out. But the song at the end of was sung by the actual prison choir which we recorded in the prison. So the prison saw both films as positive, productive experiences for the men to be involved in. For more information or to see when/where you can screen these films, click HERE. O.G. premieres at the festival April 20 and It’s a Hard Truth, Ain’t It premiere April 25.